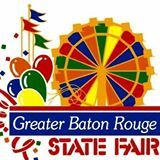 Greater Baton Rouge State Fair festival – A family event with entertainment, attractions, livestock, and great food, all operated by an all volunteer staff and board. The profits are donated to non profit chairtable organizations invloved with children and family well being. To date, over 2.6 million has been donated. While you may have heard some buzz about the Greater Baton Rouge State Fair festival you will want to read some of the facts that make it one of the most loved events in the greatest city in the nation! Read below for the top 8 reasons you don’t want to miss out on the fun and excitement at this great event! 11 days of family entertainment, put on by an all volunteer staff, with proceeds donated back to the community through worthy cause grants to non profit organizations dealing with famlies and children. The Greater Baton Rouge State Fair opens October 2014 and lasts until November. The fair grounds are at 16072 Airline Highway. Monday: 5 p.m. until 10 p.m.
Tuesday: 5 p.m. until 10 p.m.
Wednesday: 5 p.m. until 10 p.m.
Thursday: 5 p.m. until 10 p.m.
Friday: 5 p.m. until 10 p.m.
Saturday: 1 p.m. until 11 p.m.
Sunday: 1 p.m. until 10 p.m.
11 days of family entertainment, put on by an all volunteer staff, with proceeds donated back to the community through worthy cause grants to non profit organizations dealing with famlies and children.